Additionally, two bedrooms and a loft space with an option to turn into a fourth bedroom are available. MLS#2247887. 3789. Gables At Greystone - Master Bedroom with Tray Ceiling, large Walk-in Closet, Master Bath with whirlpool Tub and separate Shower. Community pool. MLS#2247943. 514. Additionally, two bedrooms and a loft space with an option to turn into a fourth bedroom are available. MLS#2248009. 3789. Near RTP, DUKE, UNC, 540. Covered by 1 yr Warranty. MLS#2245796. 4592. Carpenter Village - Community pool, tennis, walking trails, lake! MLS#2237072. 4981. Large flat fenced yard w/ 25 ft HOA buffer. 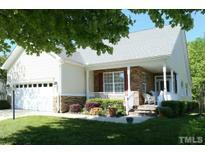 MLS#2248002. 1710. Evans Estates - Sellers to provide Hardwood Floors( up to $700). Welcome home! MLS#2241958. 5112. Located within walking distance to schools, shopping, and dining. MLS#2245646. 4604. Meadowmont - Large kitchen w/ample cabinetry, fresh paint, updated baths, large sheltered storage Room, & extra parking pad. Modern windows & established landscape. MLS#2247833. 4620. Coronado Village - Large back deck, flat yard, and storage shed. Roof and HVAC are newer. MLS#2247956. 1618. Russell Hills - Detached shed will convey with purchase MLS#2248051. 5254. Silverton - Ready to Move In! So much to Love! MLS#2247847. 4891. 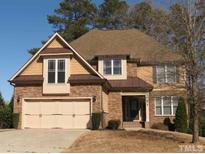 Lochmere - New roof, fresh exterior & interior paint, rear stair case off bonus room. 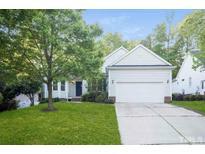 MLS#2242343. 1954. 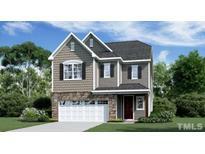 Cary Park - Designer colors, new roof in 2018 & fenced yard…all in a pool & park community. Welcome home! MLS#2247121. 2060. Brookstone - Neighborhood with Community Pool. Award Winning Wake County Schools. MLS#2243608. 4630. Brookgreen Forest - Corner lot, oversized deck, roof 2016, exterior painted 2018. MLS#2247772. 4620. Silvercliff - Large Deck to enjoy the wooded views! Don't miss this one! MLS#2247579. 410. Fishers Creek - Upgraded features include a new water heater. MLS#2247662. 4823. Wellsley - Fenced in back yard with separate fenced in dog lot. It is a MUST SEE! MLS#2247497. 5000. Pre-sale listing for comp purposes MLS#2247212. 1523. 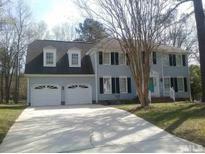 Magnolia Estates - A beautiful home in a terrific location close to schools, shopping, parks and RTP. MLS#2247305. 3321. 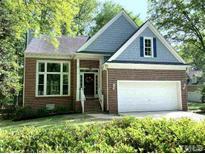 This home is Sold and is being built to buyer's/builders plans and specifications. MLS#2247127. 1133. Preston - First Floor Owner Suite Includes Reading Room/Office With Its Own Fireplace! MLS#2247122. 2917. Recreation Room w/ full bath! Private backyard! ! MLS#2247142. 1127.